It’s that time of year again: baseball season. 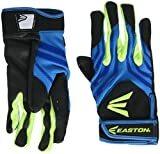 If you have a son or daughter that is signing up to take part in little league this year, or maybe they are a seasoned player, purchasing a batting glove is extremely important. In a hurry? 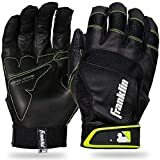 Click here for our #1 youth batting glove pick at Amazon. With so many options to choose from, it can be hard to decide which is best for your child. Luckily we have compiled a few key tips that you will want to review prior to purchasing your son or daughter’s baseball batting glove for the season. Following this advice will ensure that your child gets the best fitting glove possible that is sure to help them perform well on the field. Surprisingly, more than a few people think that a batting glove is little more than a fashion accessory for game day. Many write off this important tool, saying that baseball bats now have rubber grips to prevent slipping and absorb shock. However, batting gloves still serve a very important purpose when it comes time to play ball. 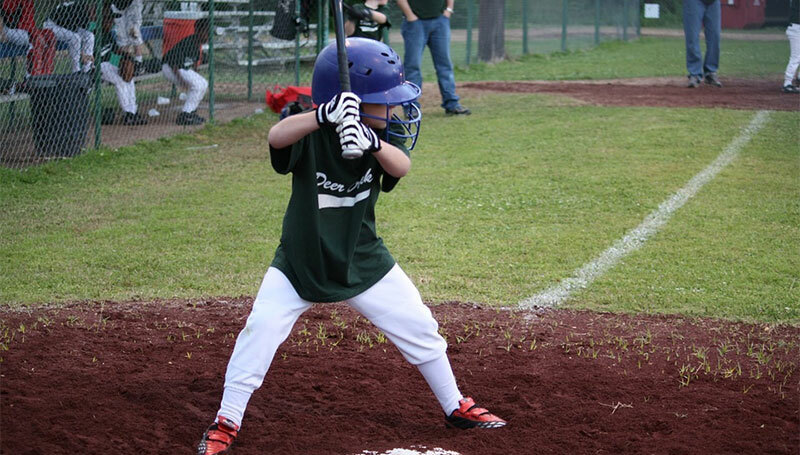 Baseball is a messy sport, and with all of the dirt and debris on the field it’s important that when it comes time to swing, your child has the best grip possible. A batting glove helps to increase their firm grip on the bat and ensure that they are able to make the best hit possible. While it is true that bats these days have this feature built into them with the rubber handle, a batting glove really gives your child the extra support and grip that they need to perform well during game time. For the most part, batting gloves are pretty cut and dry. They serve a main purpose-to improve your grip-but there are a few types you can choose from depending on what your specific needs or wants are. First, you have different options for the color of your batting glove. Virtually any color you can think of is available for your purchase and it can be a great addition to your child’s uniform to purchase a coordinating glove for game day. There are also plenty of different companies who make batting gloves so you can make sure you choose your favorite brand. Under Armour, Nike, and EvoShield all make great batting gloves available for you to buy in stores or online. In general, your going to get similar results between each batting glove you choose so you can focus more on your kid’s favorite color or manufacturer when it comes to this aspect. Most batting gloves you will find available for purchase have a few common features that they all share between them. First is the leather palm, which helps to prevent blistering from swinging and increase comfort while ensuring your child can really keep a firm grip on the bat. This feature also increases shock absorbency which helps the overall swing and comfort as well during batting practice or at the game. 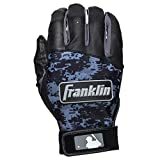 The backs of these gloves are generally composed of nylon or other similar fabric, which helps to keep small hands warm during cold games and provide maximum breathability for added comfort. The back of the glove is going to be where most of your color options come into play as well, so you have various colors to choose from to enhance the feature of this nylon backing. While it isn’t considered important by any means, it is a nice addition to the uniform or a fun bonus for kids to pick out. You definitely want to consider the size of your child’s hand before you purchase a batting glove. If you are making your purchase in a sporting goods store, trying one on for size is a good idea. You will want the glove to fit snug around the hand in order to prevent slipping, but not too tight. A glove that is fitted too tightly will not allow for a strong grip and can become extremely uncomfortable. Some teams also require specific colors on the field. You will want to speak with the coach first to make sure that you are buying the appropriate gear for your child’s baseball team. Finally, you want to give careful consideration to the material that the glove is made out of. A good quality glove is usually made with a leather palm, as this helps to decrease drying time and improve comfort . Proper care and cleaning is important for maximizing the longevity of your child’s batting glove. There are a few easy steps to take to make sure that you are caring for the glove properly and getting the most out of it. Given that these gloves are generally made of leather, it’s extremely important that you choose the right soap so you don’t find yourself back at the store to purchase new gloves. Step one is to remove any excess debris by giving it a good shake. After this is done, place the glove on your child’s hand and have them scrape the glove with a dry leather brush. You can have them shake it out again in order to get the extra debris off after this is done. You can now use a leather cleaner or gentle dishwashing soap to clean the leather with, but you will want to make sure you don’t oversaturate the delicate leather. Remove soap with clean water, let dry, and you’re good to go! While a batting glove may not be an absolute necessity, it is an important addition to making sure you child has a comfortable game and a good swing. 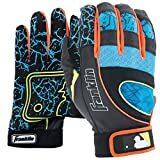 Make sure you carefully consider all aspects of selecting the best batting glove for your child and make sure that they are taking care of them and cleaning them properly after each use. Hopefully you found some use in this informative article and, as always, have a great season!